Having a bit of newsprint in my blood, I knew that it was an old British term for “the press.” Our team got the point—hooray for us, right? But what struck me that evening was how many teams were completely stumped for an answer. Was the term really that arcane, that unfamiliar, that antiquated? If so, are the people on those teams going to have any idea what The Fifth Estate is, either? And an even bigger question: How interested will they be in seeing this movie, no matter what it’s called? 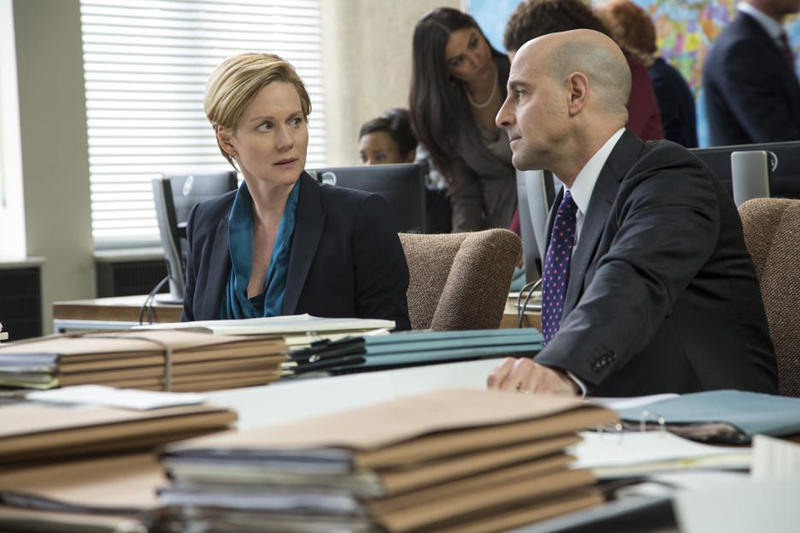 The Fifth Estate dramatizes the beginnings of WikiLeaks, the cyber-organization that shook up world governments and conventional media by posting highly confidential news from anonymous sources, who “leaked” it from places where it was supposed to be contained, sealed away, secreted. Among other stories, the site released sensitive files about the wars in Iraq and Afghanistan, about civilians killed by military airstrikes, and about what went on at the notorious prisoner detention center Guantanamo Bay. 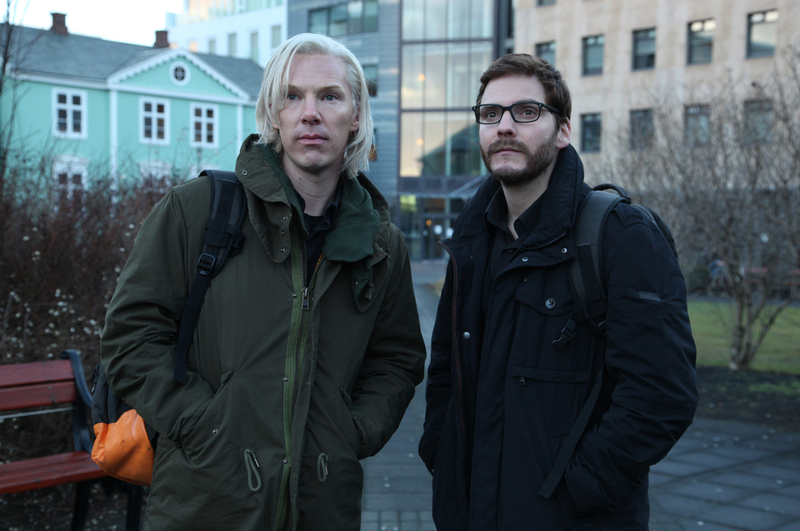 The term “fifth estate,” the movie tells us, refers to the way news reporting was shaped by the speed, force—and recklessness—of information zipping around the planet in the new millennium’s digital, instant Internet age. If the old-fashioned printing press was the pillar of the fourth estate, new e-media, spurred by WikiLeaks, became the fifth. The movie centers on WikiLeak’s Australian founder, Julian Assange, and his contentious, co-dependent relationship with Daniel Berg, the site’s German representative (on whose book, Inside WikiLeaks: My Time at the World’s Most Dangerous Website With Julian Assange, the screenplay is partly based). 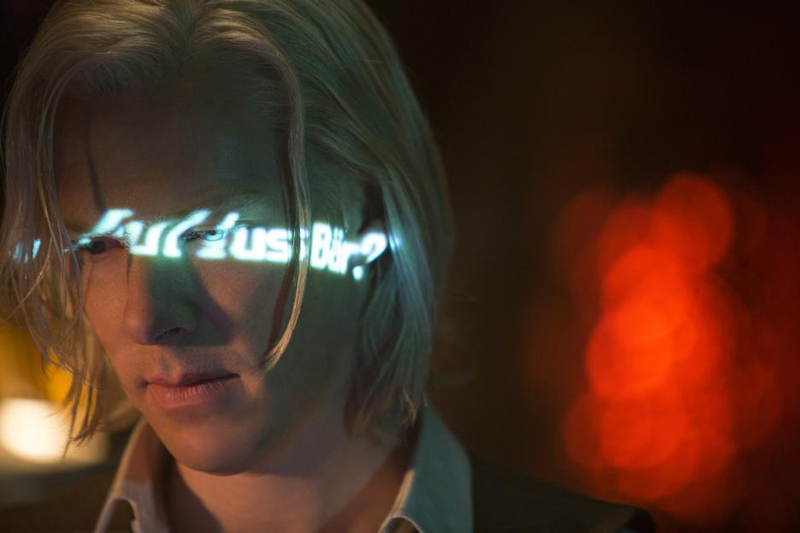 Benedict Cumberbatch is mesmerizing as Assange, a blonde-haired cyber warrior crusading to expose fraud, corruption, injustice, war crimes and other sins in high places. Daniel Brühl, who also co-stars in the new movie Rush, is Berg, a young computer hacker whose prankish, anti-establishment sparks are fanned into flames of international activism by Assange’s zeal and heated rhetoric. Director Bill Condon—whose diverse credentials include the musical Dreamgirls, the Gothic drama Gods and Monsters and two Twilight teen-angst vampire sagas—pumps the story hard, backfilling details of Assange’s damaged childhood; weaving in a difficult romantic relationship for Berg; and inserting a pair of Washington D.C. insiders (Stanley Tucci and Laura Linney) who have to deal with the serious fallout WikiLeaks creates as it puts foreign diplomats, military personnel and their families in danger by revealing their identities. But the movie’s all too much of a slog, I’m afraid, through a story that a lot of viewers will find too heavy on current events and history and too light on entertainment. Like the cold, bleak backdrops of Belgium and Germany, where the filming took place, there’s far too little warmth, wit or movie sunshine to penetrate its overarching sense of its own seriousness. That’s assuming, of course, that they see it begin with—which might require a leap of an estate or two beyond a lot of people’s usual areas of interest.